Party lovers, rejoice! 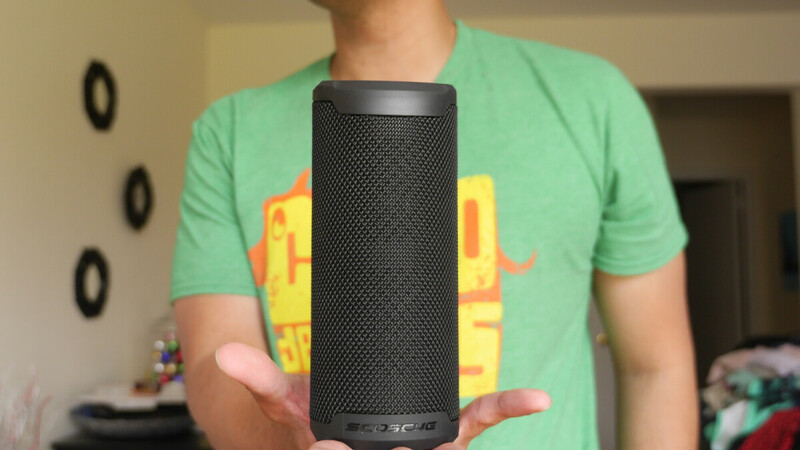 There’s a wireless Bluetooth speaker made exactly for you, the Scosche BoomBottle MM – an ideal thing to have during those outdoor festivities you’re planning on hosting this summer. Not only is it a water-resistant, IP67-rated Bluetooth speaker, but it also features a couple of useful things that’ll make it more of a social companion than anything else. Aesthetically, the Scosche BoomBottle MM is designed with a mostly cylindrical shape. However, it’s been ingeniously sized to fit most cup holders and water bottle cages. If you’re planning to bring this to the beach or poolside, then it’s perfect for the occasion because you can simply stash it in one of those cup holders on your chair. Even better, though, is that the Scosche BoomBottle MM features a built-in MagicMount – the company's magnetic mounting solution for mobile devices – allowing it to stay in place while having your phone firmly mounted to it thanks to built-in powerful magnets on the top and bottom of the speaker. And finally, the other notable feature about it is that it packs a handy bottle opener – so you won’t ever be without one when you bring this speaker along. Beyond that, it has many other features that make it a versatile speaker – like the ability to pair two speakers together for a true stereo experience, passive drivers to churn out some serious bass, a built-in microphone for hands-free calling, and up to 12 hours of playback with its battery. The Scosche BoomBottle MM is available now for $129.99, which isn’t too shabby when you consider how much it’ll be a part of the party than most speakers! It’s quite versatile in what it can do, so it makes for an ideal choice if you’re hosting parties or events. "Scosche" ? Say that again ?